Properties of force and gravitational field. Gravitational Law of Equivalence of the new theory of everything. Gravitational force and other gravitational processes. The concept of gravitation in Classical Physics is a strange notion. As it is unknown what gravity is, one resorts to the trick of defining a gravitational field with particular properties, which correspond to the visible effects of gravitational force or other gravitational processes. This model is useful, but we must not forget that it is a temporary solution until the discovery of the true nature of gravity. On the other hand, science is getting closer to realize the nature of the gravitational field and to be able to create a sound model as an alternative to Einstein’s Theory of Relativity. A more complete gravitational field concept must take into account gravity-energy-mass equivalence, a very descriptive but quite imprecise term. In any case, the gravitational field cannot be a set of points in space with properties assigned by a Divine Being or particles that emerge from the Divine Nothing by Heisenberg’s Uncertainty Principle or Indetermination Principle; at least, not from a scientific point of view. Newton said so when stating that he did not like forces at a distance while formulating the Law of Universal Gravitation. From a philosophical perspective, as much the Conservation of Energy Principle as the Global Conservation Principle come to the same conclusion; that is to say, that things neither appear nor disappear into the nothingness. It is the same if we are talking about processes regarding matter, mass, electromagnetic energy or energy from a gravitational field. 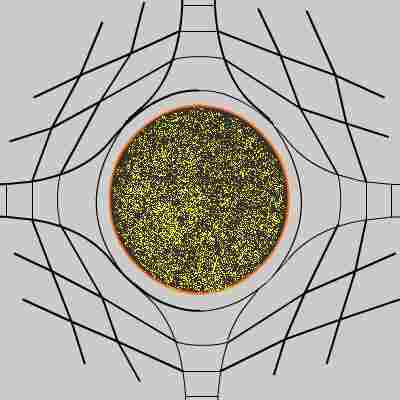 To the common element of matter as a physical reality that remains in all its states of aggregation and supports all their properties, like electromagnetic energy or strong and weak nuclear energy, and which cannot be abstract, is what Global Physics name as gravitational aether, kinetic aether or Global Aether. Something similar exists in String Theory regarding minute particles which form part of the remaining current fundamental particles; but, and sorry to put it so bluntly, the existence of more than three physical spatial dimensions sounds to us like a fairy tale. Maybe it is language’s shortcoming or the desire to confuse nonprofessionals –We wonder why! Another difference is that the Global Physics is an alternative theory of Einstein’s General Relativity, so far from integrating it, what it does is highlight its almost complete incorrection. The new gravitational theory tries to change or help to improve the current paradigm of Modern Physics in the main aspects of relationships between energy and mass with the gravitational aether. In particular, proposing the new Gravitational Law of Equivalence, explaining the exact scope and significance of energy-mass equivalence, and eliminating certain philosophical-quantum relaxation which has taken over scientific method during the last century –not only in Modern Physics. Physical reality does not depend on the observer, only its perception, and description. Time is relative from life’s subjective point of view, but this aspect is irrelevant in the field of objective or conventional physics. A scientific theory is good if it is useful, but it is much better if once understood, it also has common sense. So severe was the problem that arose from Einstein’s Theory of Relativity in its day that the philosophy of science itself had to change. From the considerations of the famous Vienna Circle everything goes in science, it does not matter if it is reasonable or not, it is enough that it is useful and proven with experiments. For example, an object can be various things at a time depending on who is looking at it, or it can be in two different places at a time –we wonder how one could prove that! Although they do belong to the philosophy of science, these hypotheses are significant because it is necessary to give a new direction to some aspects of current opinion. The idea is to make it less utilitarian –appropriate to technology– and more logical –suitable for science. The book on Global Mechanics includes a chapter on physical principles and its scientific and innovative nature. In the book on Global Scientific Method, there is a section on the Method of scientific research in Modern Physics. Global Physics is, at its root, a scientific theory; but it does not try to go into excessive mathematical technical detail, especially those derived from the latest technological advances and the more than risky explanations that sometimes offers the scientific orthodoxy. Suffice to say that this book on the new gravitational aether and the Physics and Global Dynamics book belonged to the last section of the book on the Equation of Love. Also, the said chapter, in the first edition of November 2003, had the name Towards a new theory, because the approach had neither name nor defined content and the Gravitational Law of Equivalence was under the name Gravity Riddle. Here, all constants are familiar except n, which is a variable of dimensional normalization with equal value one. In fact, dimensions of n indicate that other variables have not the correct dimensions, given that they do not convey all physical dependencies regarding the gravitational aether, speed, mass, and energy. Additional comments on the Gravitational Law of Equivalence appear in the chapter on Energy Experiments of this book in the section discussing the GigaChron Experiment. This gravitational equation should help the correct configuration of physical magnitudes and their precise quantification; in particular, quantifying the relationship between the intensity of gravity field, supported by the gravitational aether, and the speed of light. In the book Global Physics Experiments there is also a section dedicated to this relationship between physical constants, including Universal Gravitational Constant and variable force of gravity per unit of mass *g* for the specific case of the Earth’s surface. Which, in turn, leads us to another presentation or formulation of the Gravitational Law of Equivalence. The formula shows us the quantitative equivalence between the intensity of the gravitational field, the speed of light, and the electromagnetic energy generated at a point in the gravitational aether. 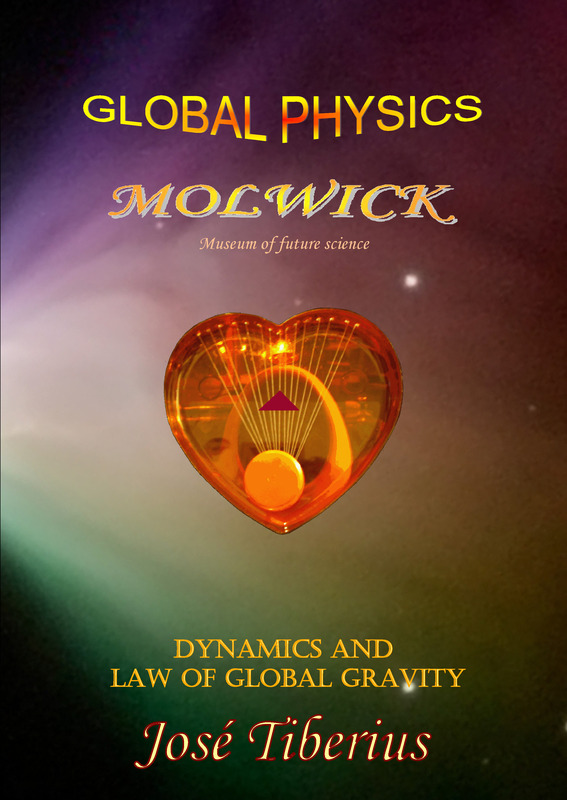 On the other hand, the objective of the book Global Mechanics is the application of philosophical principles and the fundamental equation from Global Physics to study the structure of matter and other aspects regarding Particle Physics or High Energy Physics. 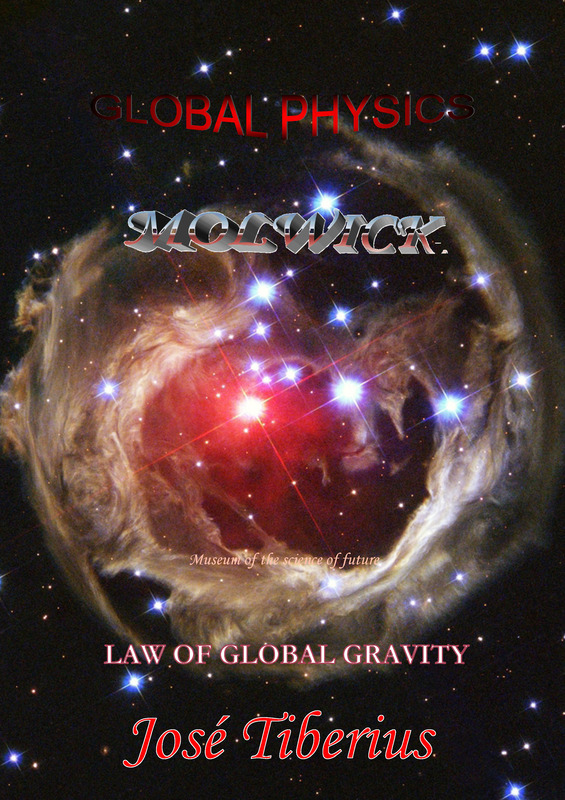 Development of Global Physics provided by Global Mechanics has improved the understanding of many concepts on force and the gravitational field, which has allowed the modification or fine-tuning of Newton’s Laws of Inertia, Force, and Action and Reaction. Moreover, slightly correcting Newton’s Law of Universal Gravitation provides us with an alternative formula of gravity. The section on Energy Experiments also includes the quantitative verification of the Merlin effect –the second component of the atractis causa– from the Law of Global Gravity and some considerations on following natural phenomena related with the gravitational aether or Global Aether.